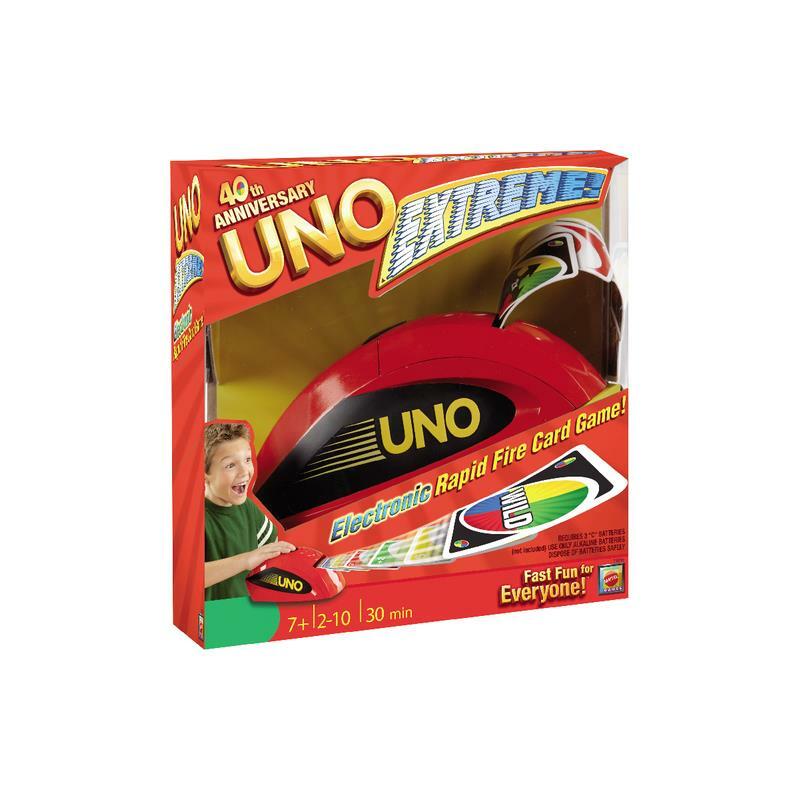 Brace yourself for an updated, modern version of the UNO Extreme game you know and love! 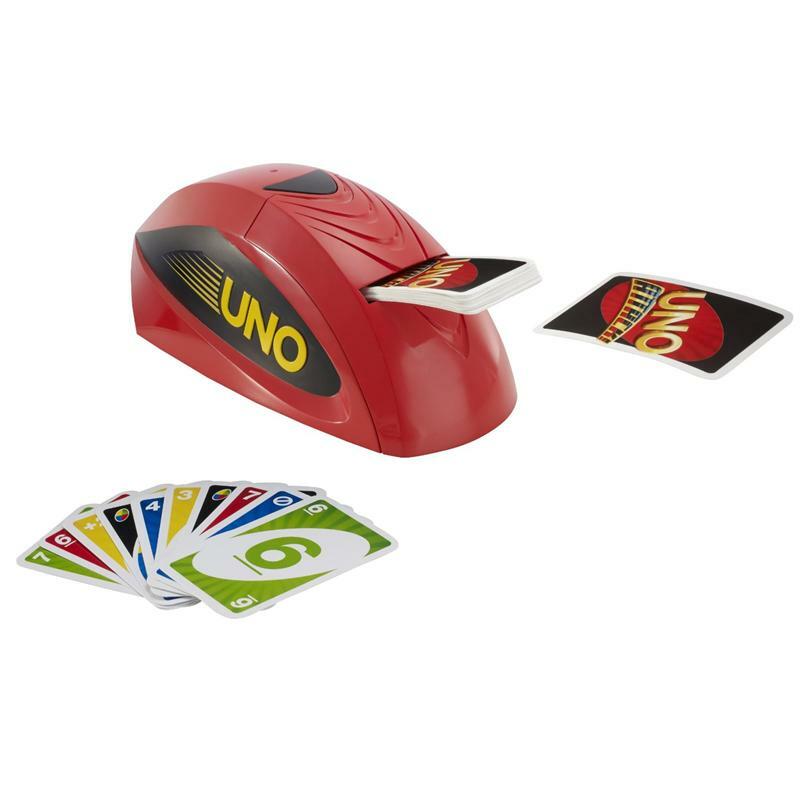 The sleek UNO Extreme Relaunch's random card shooter offers an exciting, frenzied and unpredictable way to play UNO that's Fast Fun for Everyone! 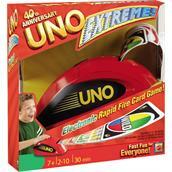 UNO Extreme comes with a special electronic card shooter and an exclusive Extreme! Extreme! command card. Push the launcher button on the shooter and if you're lucky, nothing will happen. If you're not,the shooter will fire a stream of UNO Extreme cards. The shooter makes a variety of sounds to further increase the excitement of the game. You can even keep the cards in the shooter making the unit totally portable and storable. Includes 112 cards and card launcher.